2016 is the year content marketing is growing up, and interest in this rapidly evolving discipline is surging. In fact, over 75% of marketers say their companies now embrace content marketing and they're producing more of it in 2016. 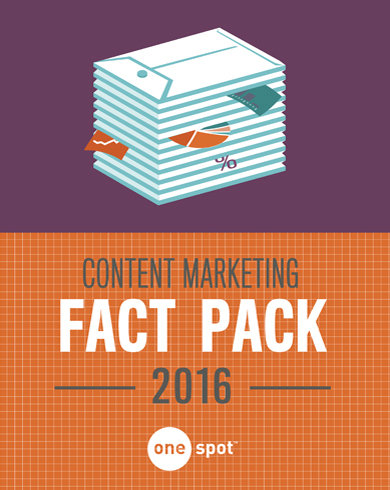 Keep up with trends and understand how you stack up and relate to your peers with our all-new Fact Pack, covering three areas content marketers care about the most: adoption, performance and measurement. Content marketing is a rapidly evolving discipline. It can be difficult for today's busy marketer to keep up with all the learnings and trends across the industry. That's why we put together our content marketing fact pack, covering three areas content marketers care about the most: adoption, performance and spending. It's full of up-to-date figures and facts on the industry so you understand how you stack up and relate to your peers.